I get hundreds of emails and messages every week from about all things fashion, beauty, baby or just random questions. I love that my followers feel like they can share things with me, as I try to be as open and “real” as possible. Being a full time blogger, people tend to think you live a super glamorous life, getting to go to lots of amazing events and being gifted lovely products and clothes on a daily basis. Yes, this is true, but it is a very small part of the blogging world and the big picture is far from what you may think. Blogging is hard work behind the scenes, like every other job. I recently received a very heart felt email from another mother, who opened up to me about struggling with her child, and finding it hard to cope some days, so I feel it is only right to give you an insight into my life as a mother and full time blogger. If you were to glance at my Instagram feed, you would think I had the perfect life. Newly engaged to an amazing man, a beautiful healthy baby boy, and a job I love. Yes, that is all true, but what you don’t see is the everyday struggles that I deal with too, just like you. I have suffered from anxiety since my Dad’s tragic passing back in 2008 and it has always been something that I have to control, or it begins to control me. When I met my fiancé Paul, I was in a good place mentally, and although my Mum was very ill at the time, I felt I had finally gained control of my head. Crazy stuff, but at the time it all seemed like very valid points. Throughout my whole pregnancy, that anxiety never left me. It wasn’t always bad, some days were worse than others, but it never went away. Our beautiful son Harry arrived on Tuesday 16th December 2014 at 5.58pm and my life changed forever. The love that came over me was so overwhelming, I just cried for the first week non stop, all happy tears. I couldn’t believe I had spent so much time worrying, as he was perfect and I couldn’t be happier. This feeling still hasn’t changed, over six months in, but the anxiety came back. I finally went to see my GP, and talked to him about how I was feeling. I used to worry all day about anything happening to Harry, to Paul or to any of my family and friends. Having a new baby was hard enough, without adding hours of overthinking to the mix. I think having lost my father so suddenly, and having my Mum diagnosed with cancer, it really made me worry about any other loved one being taken from me again. To this day, I still have “bad days”. There are days when Harry can be cranky and crying, and the minute Paul comes through the door, I hand him over and jump straight in the shower to calm down. There are days when I have called my mum or sisters, and just cried my eyes out because I hadn’t even time to wash my hair or make a cup of tea. Having a baby is hard work, and some days, you can just crack. These are the days that I find I need to talk to someone. Generally, when I feel like this, I don’t want to talk to anyone, but I make myself pick up the phone, as sometimes just saying how you feel can lift some of the pressure. Myself and Paul can fight like cats and dogs over the silliest things, but I am not going to record our arguments and pop them on Snapchat! That also doesn’t mean that it doesn’t happen. We fight like any couple, and adding a young baby to a relationship can cause strain. Both of us can be overtired and just disagree on EVERYTHING. But, that’s life. REAL life!! The reason I am sharing this with you all is so that you get a REAL insight into my life. I share so much of my life with you all, that it is only fair to also talk about the hard things too. If you are a Mum, and are struggling and feel like you are not doing a good job, pick up the phone and call a loved one. Just say how you feel and I promise you, you will feel better. If you feel like you have no one to talk to, message me. I am more than willing to listen and help in any way I can. I am so blessed to have a partner, parents, family and friends that I can confide in, so if you don’t have that, then please feel free to chat to me! If you have made it this far, then I applaud you! I hope this post helps even one person feel a little bit better. 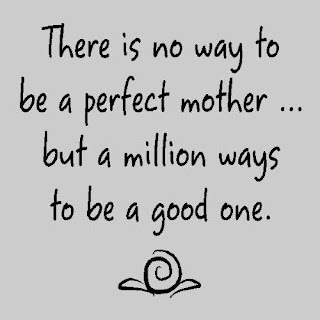 No one is perfect, and there is no such thing as the perfect mother. We all make mistakes, but at the end of the day, we are doing the best for our children and that’s all that matters. 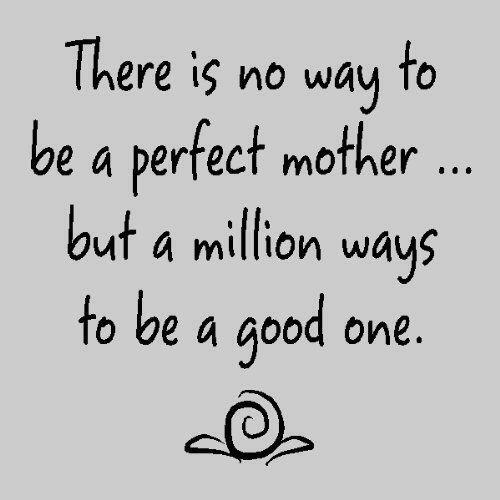 Us mums do an amazing job from day one of pregnancy, right through your child’s life, so lets support each other on the good days AND the bad.